Fellest Yan – Featured Dancer of the Month. Featured dancer of the month. WE shall take about our own ‘Malaysia Production’ before we move to international dancer. Proudly introduce the awesome dancer of the month! 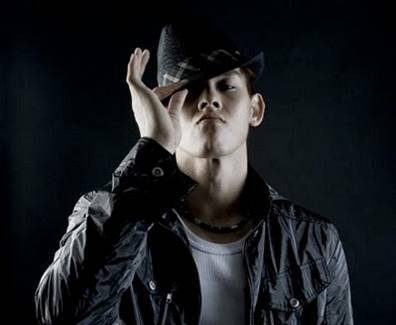 Founder of ROYAL PHANTOM DANCE STUDIO- Fellest Yan Sunshung (Fellest). Featured in various tv commercials such as Twisties (the afro), DiGi (regarding the thumb), UOB credit card, Baskin Robbin’s, Panasonic (washing machine), Yamaha and many more. Specializes in all styles of street dance, hip hop, break dancing, popping, locking, krumping, new skool hip hop. Creator of and Judge for Astro’s Tv Reality show “Battleground,” Judge and Choreographer for TVB’s Tv Reality Show ‘Junior Idols’. Choreographer for 8TV’s “The Alam Story”, for local artistes such as Hannah Tan, Liang, Danny One, and Eric Leong, among others. Collaborated with Radio stations like Hitz.fm, AI.FM, TV stations like 8tv and Astro for event performances. Also Collaborated with international dancers like Madonna’s choreographer in dance performances. Appeared in various TV advertisements such as Nokia, Coke, Converse, UOB bank, etc. Now can you see how great is our Malaysian dancer? A round of applause for you, Fellest. He is always be the V.P’s( Lienn) favourite dancer.